The beautiful tie dye combination of different shades of blues, reminds us of Jerry Garcia. 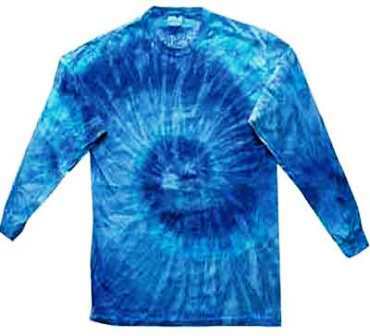 That's why we call this long sleeve tie dye t-shirt "Blue Jerry". It's a heavyweight 100% cotton T-Shirt, hand tied and then dyed. Enjoy each for its own uniqueness. Wash separately 1st time.